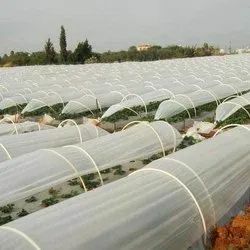 Pioneers in the industry, we offer uv agriculture crop cover from India. We have been affianced to offered the assorted range of UV Agriculture Crop Cover to our respected clients. The offered products have the effect of modifying heat exchange between the covered and atmospheric environment. The temperature difference is the resultant effect between the accumulation and loss of energy. It protects crops from frost and freezes. We offer our products at industry leading prices.